This groundbreaking discovery helped changed water policy around the world. It is thanks to this research that we have better sewage treatment plants, better water quality guidelines, and mandated phosphate-free laundry detergents and dish soaps. These policy changes resulted in fewer algal blooms due to "point source pollution" (where nutrients are released directly into a body of water—in this case from wastewater plants) in lakes such as Lake Erie. IISD is researching how we can clean up, or remediate, algal blooms. 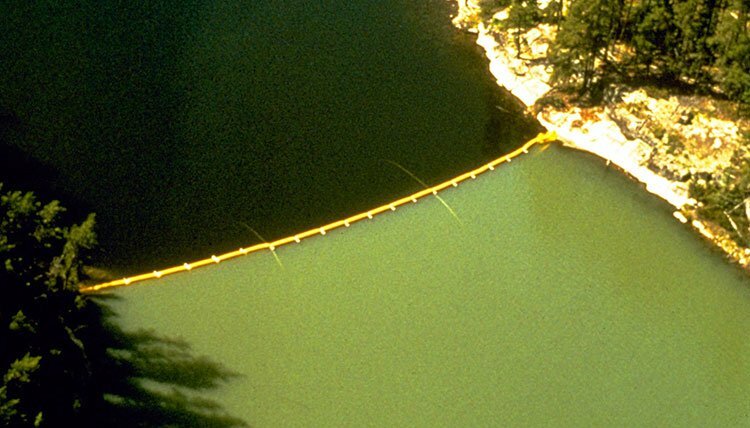 Just last year, we published a review of the current literature on the most effective methods of "in-lake" remediation of lakes that suffer from eutrophication. IISD Experimental Lakes Area’s research on phosphorus and algal blooms is done in collaboration with multiple researchers across Canada, including the universities of Waterloo, York Wilfred Laurier, Toronto and New Brunswick.